We work year round to ensure students are living in the best possible accommodation while renting rooms, flats and house. 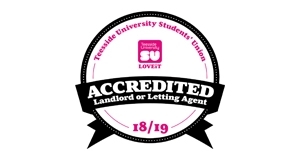 All landlords who advertise properties through the SU must be independently accredited, there's full information about our criteria for advertising with the SU here. If, as a student, you feel you are not receiving the service you expect or need further information or advice – contact one of our professional Student Support Advisers in SU Student Support (SUSS). Pop in to SUSS (1st floor of the SU) Mon to Fri 10am-4pm, call 01642 342247 or E-mail SUSS to make an appointment. Student Support Advisers help with issues including repairs, problems with housemates and rent arrears/ deposits. 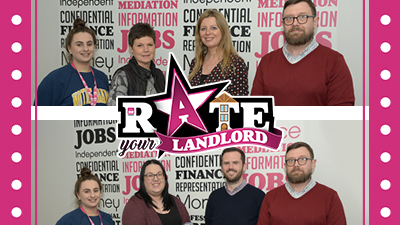 The team work with students, landlords and letting agents to ensure good quality, affordable housing for all students and to help them address any issues they may have while living in Teesside. There is also info and advice on how to deal with issues with fellow housemates or their landlords and tips on getting deposits back at the end of a contract while House Match is a service for both students and landlords/ letting agents to find accommodation through the academic year when it can sometimes be more difficult, find out more about it in the SUSS department.